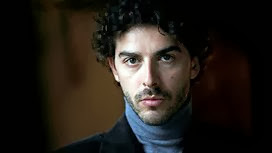 The fourth part of the six-episode run of Young Montalbano - Mortally Wounded - is on Saturday 28 September at 9pm on BBC Four. Some unusual posters appear around Vigata in which the moral status of one of its female inhabitants is questioned. This soon becomes the talk of the town and Montalbano finds himself attempting to navigate the local gossip and resulting squabbles. But a murder forces more serious events onto the agenda, as Montalbano investigates the private and business life of the victim, uncovering a string of unsavoury facts in the process. Fazio returns to Vigata police station asking to be reinstated in his job following a bout of serious ill health. Salvo's father makes the acquaintance of new girlfriend Livia. Not sure why but your links don't work on Bloglovin'. Anyway, just going to say my OH loves this series.